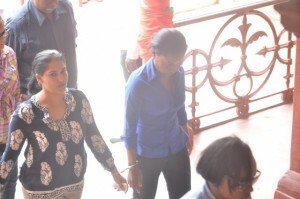 Shameeza Khan, the ex-wife of self-confessed drug-trafficker Barry Dataram, and four others were Monday afternoon charged after ranks allegedly discovered 170 pounds of marijuana in their possession during a raid last Thursday, June 9, 2016 at Versailles, West Bank Demerara. Charged were Khan, 34, Andrea Purran, 40 Felicia Laundry and Balkhrison Ramdass, 54, all of whom reside on the West Coast of Demerara. The quartet appeared before Chief Magistrate Ann McLennan and all pled not guilty to the charge. They were denied bail and remanded until July 24, 2016. The Customs Anti-Narcotics Unit (CANU) on Thursday evening during a raid at Versailles, seized 76 kilos, 110 grams of cannabis, and arrested the four persons. The raid was conducted in a gated community in the village. Police believe that the marijuana, which was being compressed during the seizure, was being prepared to be shipped out of the country. A second charge was also laid before Ramdass, who pleaded not guilty to soliciting persons to traffic narcotics. 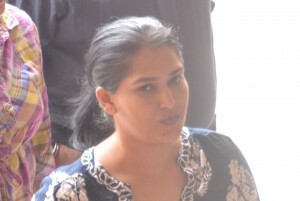 Head of CANU, James Singh has said that ranks acted on a “tip-off” when they conducted the raid. Dataram’s ex-wife, Shameeza had gained notoriety in December of 2007 when she and her three-year-old daughter were kidnapped by two Venezuelans. The incident had occurred at Ruimzeight Gardens, West Coast Demerara. Dataram is currently before the court on a cocaine trafficking charge.